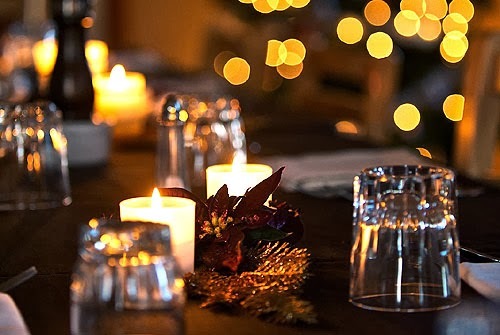 We are hosting this year's Holiday Dinner on December 20th. This has always been our most popular event! Guests will be treated to a delicious four-course meal, along with Christmas carols and the warm glow of our beautiful Christmas tree. It's sure to be a magical evening. We hope you can attend. Seating is limited and reservations are required. Wine Policy: We are not yet licensed to serve alcohol. However, you may bring your own wine to this dinner. The only catch is that you are responsible for opening and pouring your wine. You can't take an open bottle with you when you leave, and you must drink responsibly. Under-age drinking and hard alcohol are not allowed. Dietary Restrictions: For this meal we are able to accommodate those with a gluten-free diet and those who don't eat pork. Please indicate your restrictions in the "Comments" section of the reservation form below. If you have other dietary restrictions, please contact us to make sure we can meet your needs.